I will be the first to admit I’m hopelessly nostalgic. 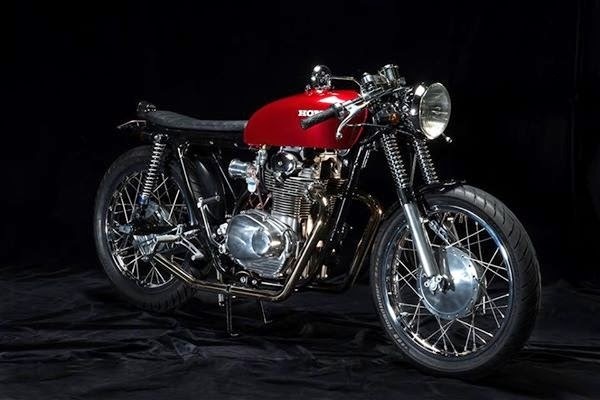 So when I come across a story of a father and son working together on a custom build I’m instantly interested…especially when the result is as cool as this tidy little CB350 Cafe Racer. 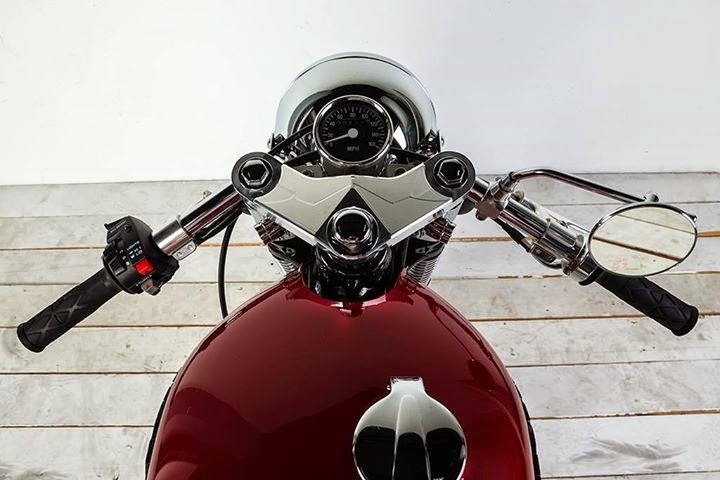 After working on car projects for years with his Dad, Blake and his “old man” decided to apply their skills to a two wheeled project. 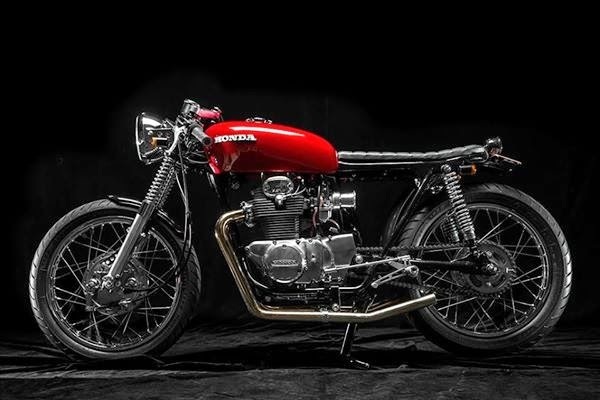 This is the story of how one forgotten Honda found a new lease of life in the hands of two generations of custom builders. 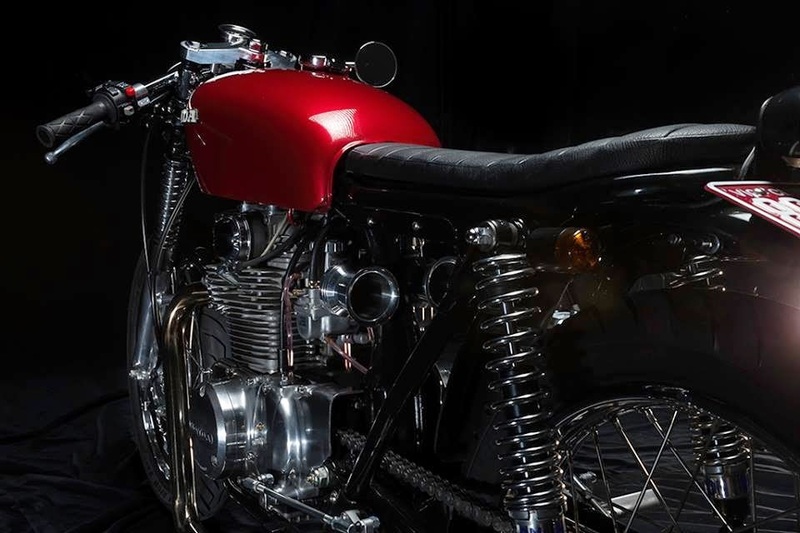 “Soon afterwards a ’71 Honda CB350 came up for sale in Sydney, so we traveled 9 hours over night from Melbourne to Sydney in the Hi-Ace van I use for work. We bought it off the old guy that was selling it and loaded it up out of his garage where it had been sitting for over 30 years. The bike was mostly all there and amazingly it still turned over! We got it home and started stripping it down to the bare frame. 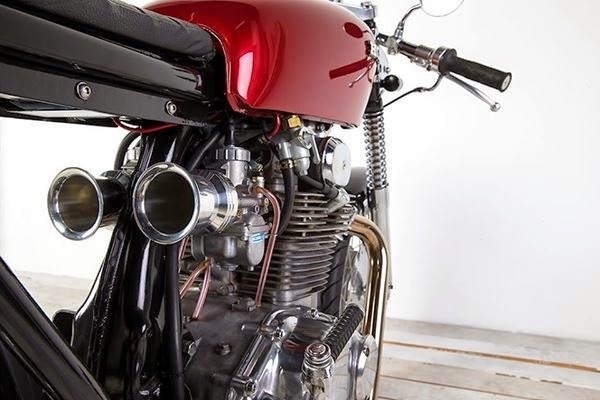 “Brand new Mikuni carbs with velocity stacks and a custom built polished stainless steel exhaust to clear the rear sets completed the look and our performance modifications. After a search online we found a guy overseas who made us a billet alloy top clamp to suit the old external spring forks, it is a masterpiece of craftsmanship. Finally we fabricated a seat pan and had a local upholsterer trim it in black leather.